Real science, a photo by The Bacher Family on Flickr. 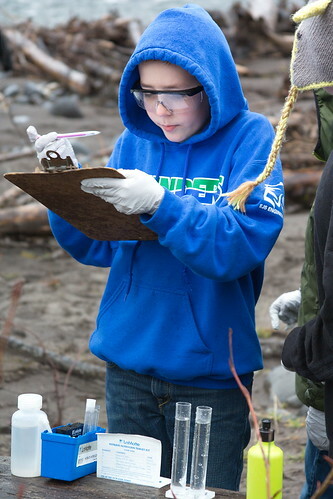 Another great image of my son's fellow students, busy conducting real science along the Nisqually River in February. They look (and are) so serious about the work they're doing, and I love the way the cloudy weather (with a few showers sprinkled in, that did nothing to dampen the kids' enthusiasm) creates great even lighting and enhances the opportunities for shallow depth of field shots.